Very convenient folding umbrella: one click to open, one click to close it! Folds to fit the smallest space, don’t leave home without it! 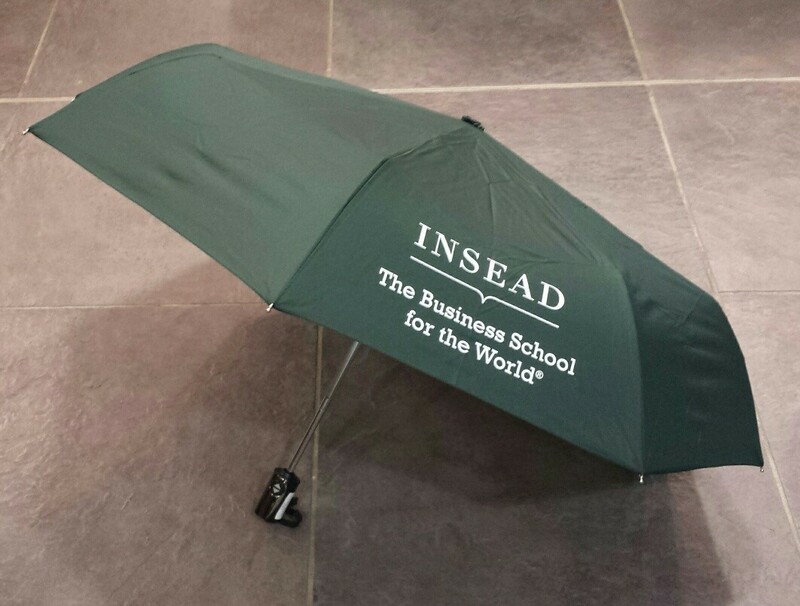 Stay dry with this small folding umbrella,it will protect you from the rain, display the Insead logo in white.